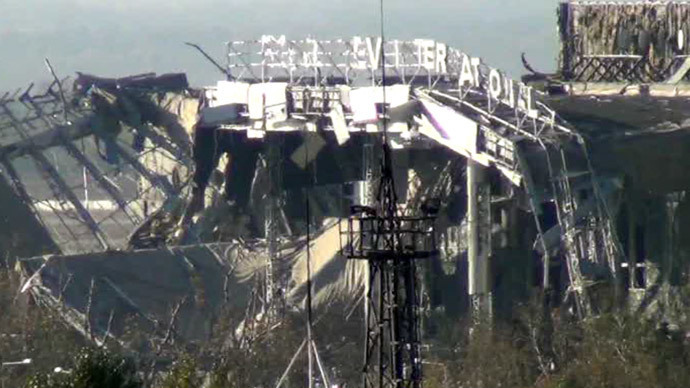 Haunting images taken at the shelled Donetsk airport recall the nuclear ghost towns of Chernobyl and Pripyat. After half a year of fighting in eastern Ukraine, the once regional airline hub has now been abandoned and left in ruins. Blood-stained walls, bullet-holes in the few windows still remaining, holes from heavy shelling – that is the ghastly scene at the Donetsk International Airport. These are the images of the new terminal named after great modernist composer Sergey Prokofiev which was built just two years ago for the Euro 2012 and cost an estimated 6 billion hryvnia (almost $500 million). Once a busy international airline hub that could handle 5 million passengers a year now it looks like a scene from a post-apocalyptic movie. 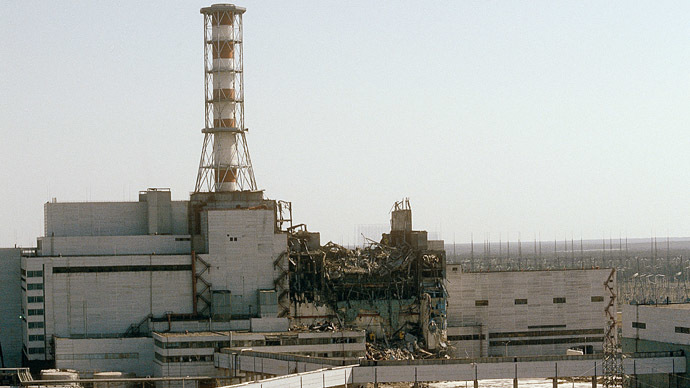 The images taken from the abandoned site can be compared to the ghost-town of Pripyat, which together with a handful of old villages near the Chernobyl nuclear power plant was evacuated after the catastrophe at the facility in 1986. Operations at the airport were first suspended in May and it closed down in June amid the heavy fighting between Kiev forces and eastern Ukraine’s local militia in the region. Since May, Kiev troops deployed at the airport have been constantly shelling the city as local militia forces used artillery to root the military out of the facility. 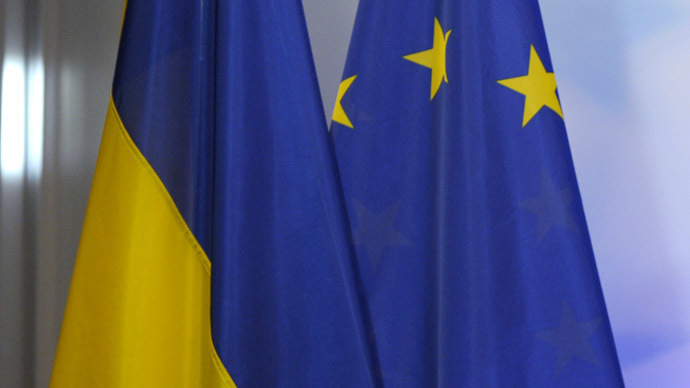 Kiev authorities launched the military operation in the east of the country in April. 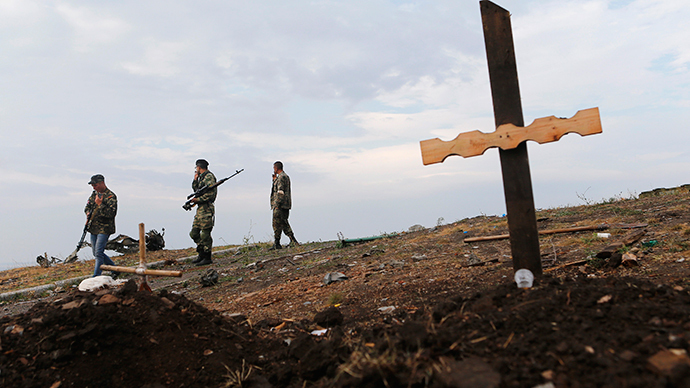 The UN has stated that at least 3,660 people have been killed in the conflict since then. Kiev authorities and officials of the self-proclaimed Donetsk and Lugansk People’s Republics signed a ceasefire agreement which came into force on September 5. 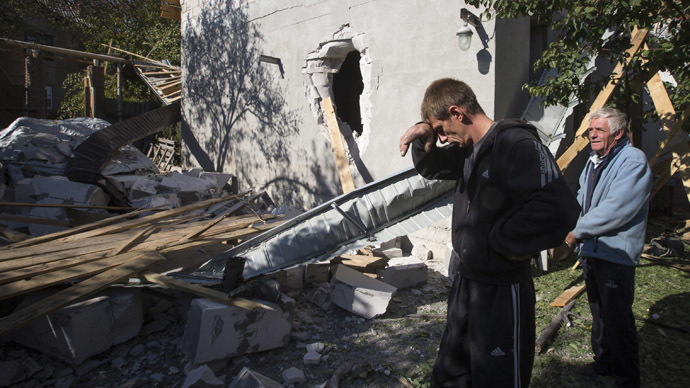 However the truce has been barely holding with numerous reports of violations and both sides with the Ukrainian army and the anti-government fighters blaming each other for sporadic shootings.